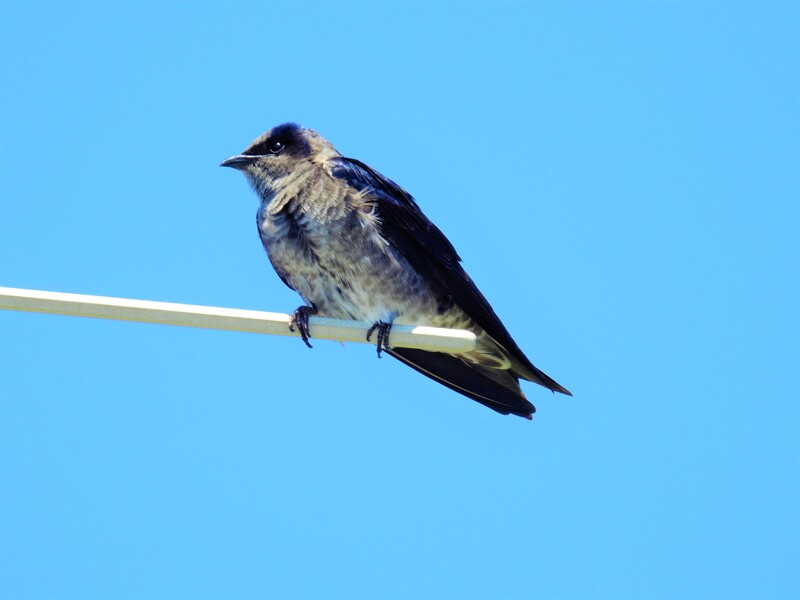 The Purple Martin (Progne subis) is the largest North American swallow. The average length from bill to tail is 20 cm (7.9 in). Adults have a slightly forked tail. 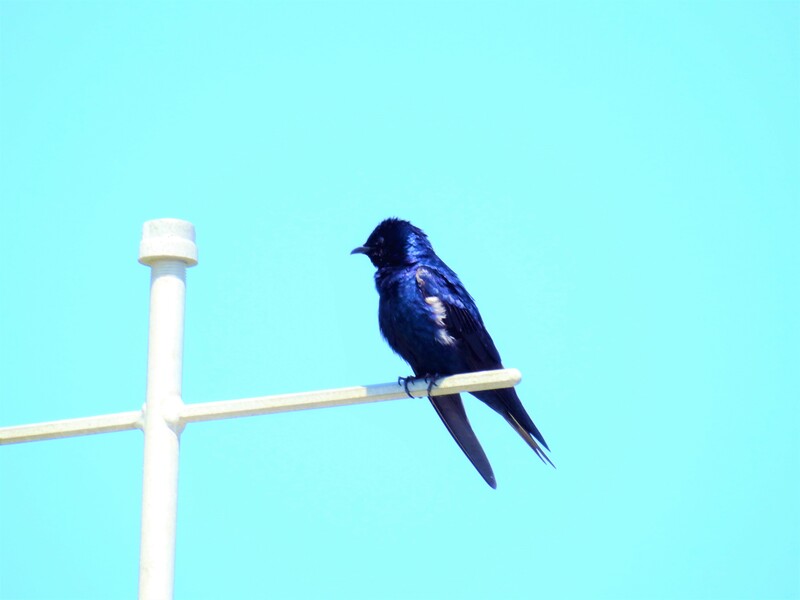 Adult males are entirely black with glossy steel blue sheen, the only swallow in North America with such coloration. Adult females are dark on top with some steel blue sheen and lighter underparts. Sub-adult females look similar to adult females minus the steel blue sheen and browner on the back. Sub-adult males look very much like females, but solid black feathers emerge on their chest in a blotchy, random pattern as they molt to their adult plumage. 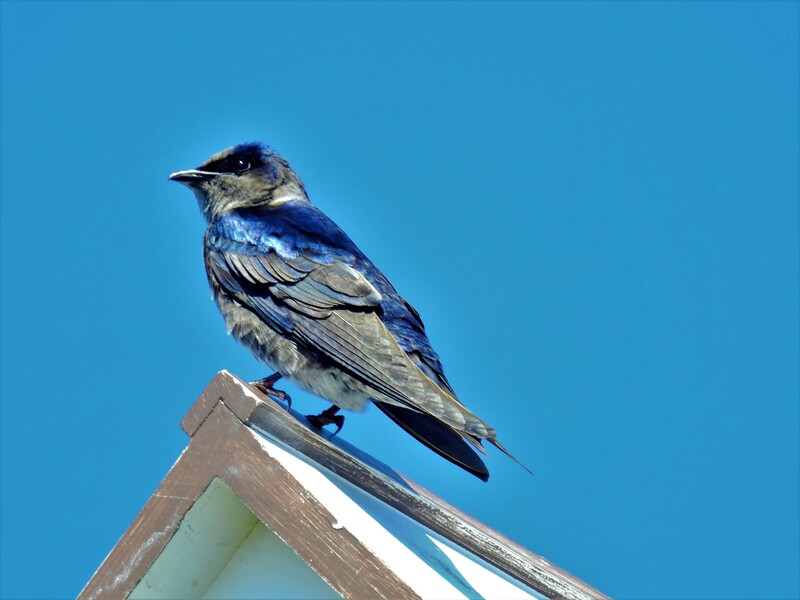 It sounds as if Purple Martins need some housing assistance! What a beautiful bird – the colour!